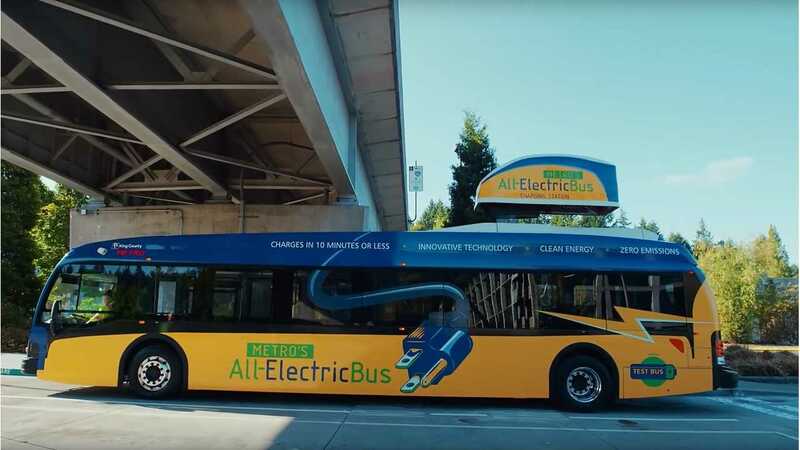 Proterra announced it would be opening its single-blade overhead fast-charging technology on royalty-free basis, which seems like a nice gesture to its peers in the industry. The technology was covered in three patents, which have now become available to any company...or individuals if you fancy yourself in need of a rechargeable bus. Proterra and its suppliers are also working on offering complete system for other bus manufacturers. The opening of the overhead fast charging technology is crucial if Proterra would like to see it adopted as the industry standard (so maybe not a totally altruistic action after all). Whether or not there are other companies interested in using the system has yet to be determined. 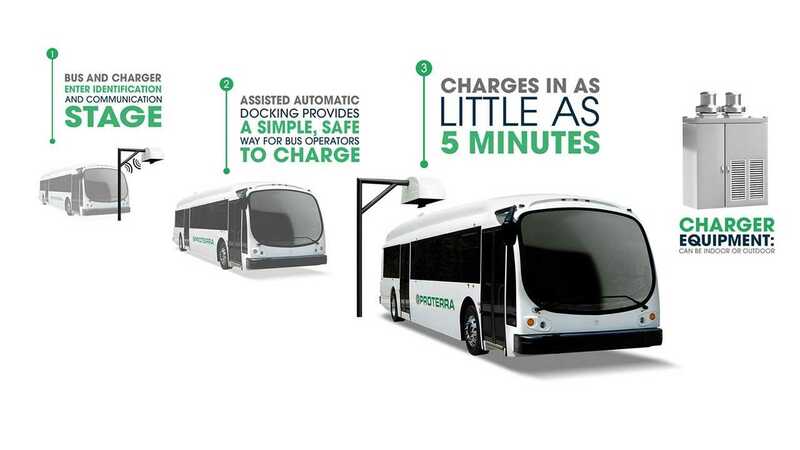 Proterra stated that its single-blade overhead fast-charging enables to charge at 250-1000 V and up to 1,400 A. "In a significant move intended to accelerate widespread EV technology adoption and infrastructure development, Proterra, the leading innovator in heavy-duty electric transportation, today announced it would be opening its overhead on-route fast-charging technology to the transit industry on a royalty-free basis. With the recent issuance of foundational patents covering this technology, Proterra is now clear to offer a complete technology package to the market. 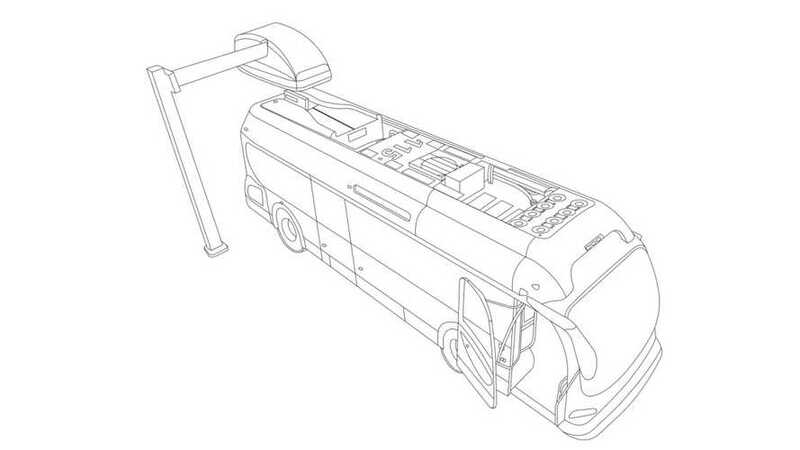 Proterra will grant anyone royalty-free access to its patents covering its industry leading single-blade overhead charging design. This includes the bus-mounted, single-blade charging design and the overhead charging coupler. Consistent with this, Proterra is working with its suppliers to open up Proterra’s single-blade overhead charging design for direct sale to third parties. Industry-wide availability of the company’s single-blade overhead charging design will advance standardization efforts and will facilitate additional innovation. 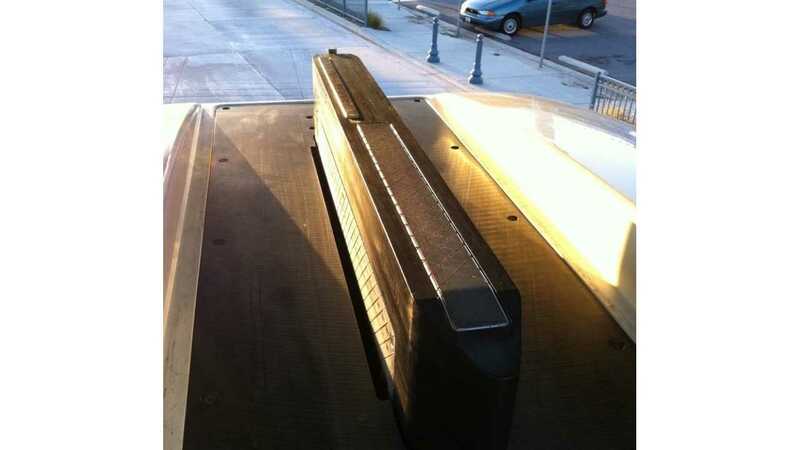 For more details on Proterra’s royalty-free access to its single blade technology, see www.proterra.com/charging-technology-details." "With more than 2.4 million miles of revenue service across the United States, Proterra has more battery-electric buses on the road today than any other manufacturer, and the Proterra single-blade overhead fast-charge system is the most utilized on-route charging technology in the industry. Over the past five years, public transit agencies across the country have performed more than 250,000 charging events using the Proterra single-blade overhead fast-charge system, providing these agencies with the flexibility of keeping their buses on the road all-day, and seamlessly integrating electric buses with existing route schedules. In order to meet the needs of transit operations, the single-blade vehicle coupling mechanism supports a charging voltage range of 250-1000 VDC, and can provide electrical current of up to 1400 amps, with safety taking the highest priority in these systems. Proterra’s unique technology was specifically designed to limit exposure to high voltage components, unlike catenary or third-rail solutions."